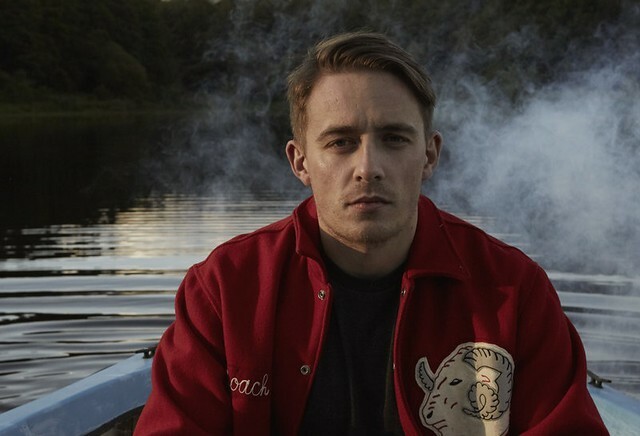 Posted on 03/06/2018 by Corey Paterson	in Live Review and tagged Baltimore Soundstage, Dermot Kennedy, folk, Ireland. Dermot Kennedy stopped in Baltimore for the first time and I had the pleasure of being there to witness a young, international breakout artist in his first local performance. The 25-year old Dubliner entertained us with songs from his debut EP, Doves & Ravens, as well as some other tunes including a brand new song called “Young, Free” and yet another new song that he actually doesn’t have a name for yet. During a sold-out show at Baltimore Soundstage, fans screamed in excitement as Dermot took the stage. The excitement grew throughout the evening as he played basically all of his publicly released music. I love that he didn’t try to change things up too much with covers or anything like that. People love the music that he has released, and we were able to hear all of it. Bands with deeper catalogs may not always get to your favorite song, but you have an advantage catching a breakout star at the beginning of their career! Concert-goers at Baltimore Soundstage came ready to hear their favorites, and they were not disappointed. The anticipation in the room for Dermot’s music was incredibly high. Onstage, Dermot seemed almost taken aback by the reaction of the audience. He waited until people stopped yelling to talk. Even then, he spoke clearly with a lot of purpose. It looked like he was really taking it all in and appreciating every minute of the experience. (I honestly was a little annoyed by the constant chatter of the crowd while he was talking.) Fortunately, Dermot took the time to explain some of the emotional inspirations for his songs in a very patient manner. As far as his music, Dermot has a really intriguing sound. It’s an interesting mix of acoustic, folk, and hip hop. He draws a lot of comparisons to Bon Iver, but his music also reminds me of Ed Sheeran. His voice is gravely and sounds like the voice of a 40-year old, not a 25-year old. Each song tells a story and you can feel the emotion pouring out as he sings. Dermot takes an acoustic sound and blends it with an electronic/hip hop beat in many of his songs, such as “A Closeness,” which you can hear below. Keep an eye out for Dermot coming to an area near you. He has a few more US stops this year, and you can check them out on his website at http://www.dermotkennedymusic.com/live/.